Photos to be framed and displayed alongside the exhibition of Swedish Dads photos. Dads may have the photo to keep when the exhibition ends. All finalists invited to the exhibition’s official opening at the National Art Gallery on 20 November 2017. Visit the Embassy’s Malaysian Dads Photo Contest Facebook page during the Contest Period. Post one picture per family only. The photo can be any photo that shows your life at home with kids 5 years and under, shot using any camera (and of any quality). Include a caption of less than 50 words on how you view your role as a parent. 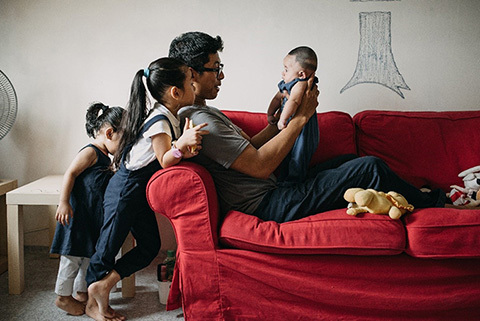 Visit IKEA Malaysia Dads Photo Competition terms and conditions for more details.